Last season’s Premier League top-two, Manchester City and Liverpool, arrive at a crossroads this summer after failing to build on the halcyon days of 2013-14. 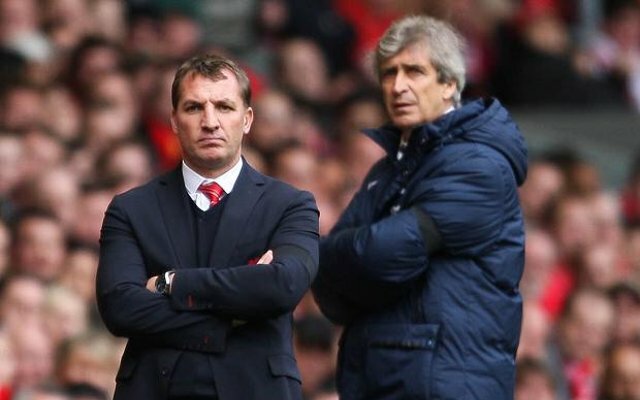 It is a scenario that was almost impossible to envisage at the end of last term, but Blues boss Manuel Pellegrini and Reds head coach Brendan Rodgers find themselves under the microscope at the business end of this campaign. Pellegrini led his side to the title and League Cup double last time around, while his Merseyside counterpart came within a whisker of his club’s first ever first-place finish of the Premier League era while creating a brand of football not seen since Kevin Keegan’s Newcastle United. Fast forward 12 months and you find the Chilean fighting to simply finish in the top four after losing sight of the summit long ago as well as crashing out of every cup competition early. Rodgers, meanwhile, is still searching for his first piece of silverware as a manager after Sunday’s FA Cup final loss to Aston Villa, and Liverpool are down in fifth position, with an outside chance of catching City. Luis Suarez is long gone and a lot of the money generated by his sale to Barcelona has been spent on players who are not performing well enough. Should one or both of these men lose their jobs in the next couple of months, and the pressure cooker that is Real Madrid causes boss Carlo Ancelotti to get out of the Bernabeu kitchen, the two English heavyweights would be crazy not to sound him out. That’s not to suggest that Rodgers should be axed. He is a young, innovative head coach who was voted the best in the country by his peers in 2014, and he was desperately close to taking that title. Pellegrini, however, has had his tactical limitations exposed in the most brutal manner on several occasions and he has the demeanour of a man who knows he is on borrowed time. But the point is this. Should the managerial hot-seat be vacated at either Anfield or the Etihad Stadium, and ex-Chelsea chief Ancelotti is on the market, he simply has to be viewed as the stand-out candidate. What City and Liverpool are crying out for is a ready-made, proven winner. Rodgers could yet embark on the journey he appeared to be mapping out for himself a year ago, and build a trophy-laden dynasty. It partly depends on whether he will be given the time. Ever since Sheikh Mansour and his team’s game-changing takeover in 2008, the Blues have never truly installed a world-beater in the dug-out. Roberto Mancini brought domestic glory but also chaos behind the scenes, while Pellegrini has won less trophies with virtually all of Mancini’s players. Liverpool are desperate to win their first Premier League title. City are desperate to finally conquer Europe. Ancelotti won the Premier League at his first attempt. It was Chelsea’s last first-place finish, in 2010. He has won the Champions League three times. City have never even made the quarter-finals. 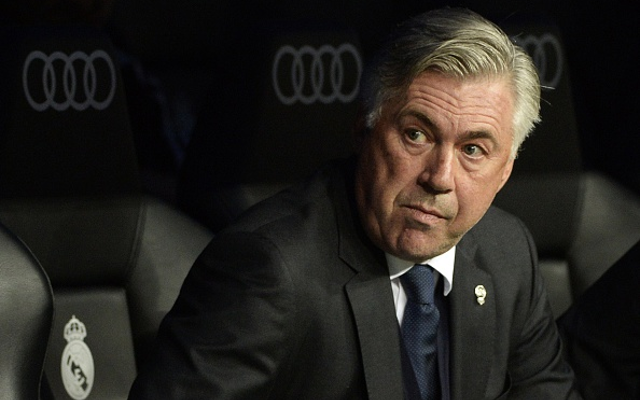 It is no coincidence that success follows Ancelotti everywhere he goes. Four Serie A titles with Roma and AC Milan, five Coppa Italias, one top spot in Ligue 1 at Paris Saint-Germain and that English league and FA Cup double of five years ago were tucked under his belt before he even arrived in Spain. The doubters say he only wins trophies because he gets big jobs with equally large cheque books. But they should remember there is a reason why the most demanding owners in world football place their faith in the 55-year-old time and again. His current position is not under scrutiny because he has lost his touch. He led ‘Los Blancos’ to their coveted 10th European Cup and lifted the Copa del Rey, UEFA Super Cup and FIFA Club World Cup last season. Unlike Rodgers, Pellegrini and the popular outgoing Borussia Dortmund manager Jurgen Klopp, he has not dropped like a stone in 2014-15. He remains on course to bring home more top honours in May. It is under scrutiny because he works for Real Madrid, and that is what happens. If they are crazy enough to ditch him this summer, English clubs would be downright bonkers to overlook him.